As people get older, they start to notice gradual wrinkles around the eyes, mouth, and forehead that contribute to an overall older appearance. Fortunately, Dr. Rosen has several solutions to reduce or eliminate signs of aging. As we age, our skin changes. Over time, the natural volume of youthful skin begins to diminish as wrinkles and folds form. But, with JUVÉDERM® injectable gel, you don’t have to just sit back and let it happen. 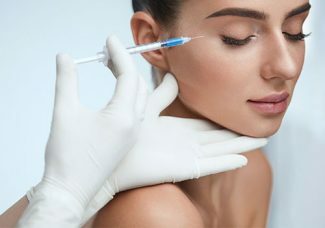 JUVÉDERM injections given under the skin can instantly restore your skin’s volume and smooth away facial wrinkles and folds. The process takes only about 15 minutes and you’ll see the difference immediately. Plus, there’s minimal recovery or downtime. So you can step into our office for treatment and step right back into your life. His facial microdermabrasion procedures make you look youthful and healthy. Your skin will appear radiant, soft, and clear. One microdermabrasion session would take just between 30 and 60 minutes, so if you’re a busy person, you can drop in during your lunch hour. The best part is there’s no recovery time; you can resume your regular routine. Using Pulsed Light Therapy, this treatment dramatically reduces the signs of aging by helping to restore the body’s natural collagen production. Erase years of sun damage, broken vessels, brown spots and rosacea for a more youthful appearance. Suggested areas: Face, chest, hands. If aging, acne or too much time in the sun has left your face with blotches, scars, wrinkles or lines, Laser Skin Resurfacing will help your skin look younger and healthier. Laser Skin Resurfacing removes skin, layer by layer with precision. The new skin cells that form during healing give the skin a tighter, younger-looking surface. The procedure can be done alone or in combination with other cosmetic surgeries on the face and neck. If you are seeking younger looking skin, consider the advanced laser treatment services available at Dr. Rosen’s Cosmetic and Laser Surgery Center. Dr. Rosen works with a highly trained staff dedicated to helping patients find a customized treatment plan that addresses all of their aesthetic concerns. We offer Laser Skin Resurfacing in Toms River, New Jersey using Fraxel, Erbium and Plasma Lasers for improving skin texture and appearance. Each Laser can successfully treat a variety of skin conditions affecting the face, neck, back, chest, and hands. 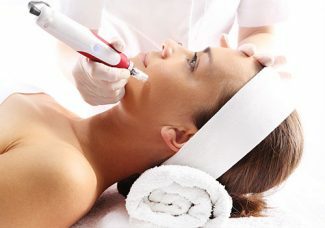 In just one laser skin rejuvenation treatment, visible and significant results can be achieved. Sometimes a course of laser treatment sessions may be required to achieve the exceptional outcome you deserve, but this varies from one patient to another. If Laser Skin Resurfacing is just what you have been looking for or if you simply have questions regarding this cutting-edge treatment please contact us today. You’ve probably wished for a way to make your eyelashes longer, fuller, and darker. A new and revolutionary eyelash treatment is available now. At the Cosmetic and Laser Surgery Center, Dr. Rosen offers an exciting treatment, LATISSE®, to help you get the results you desire. LATISSE is the first and only prescription treatment approved by the FDA for proven eyelash growth. It is meant to improve inadequate or sparse eyelashes by stretching the eyelash growth phase and increasing the number of eyelashes grown. It is effective and easy to use. Great eyelashes don’t just happen overnight. That’s why it’s important to note that LATISSE works gradually. You can expect full results after 12 to 16 weeks. Revitalize yourself with effective skin rejuvenation treatments. Michael Rosen, MD, has developed a series of innovative solutions that are ideal for anyone looking to reclaim their youth. With our non-invasive procedures, you can reduce wrinkles, repair your skin, and return to your daily life. Time is not something you can stop, but you can take control of its effects on your appearance. That’s why we offer a broad array of treatments to maximize vitality. From microdermabrasion to laser skin treatments, Dr. Rosen is dedicated to providing you with the healthy, youthful skin you desire. He works closely with every patient to ensure the procedure is customized to your unique needs. With a specially trained staff, your treatment will be carried out by only the most qualified individuals. With so many options for skin rejuvenation, it just makes sense to rely on a medical professional who understands that maintaining a beautiful complexion is important to you. Our advanced skin care solutions allow you to achieve the results you desire. Dr. Rosen is committed to assisting you in your journey for cosmetic excellence. When you’re looking for treatments that are effective and non-invasive, you can count on us to restore your youth. Contact us to learn more about our skin rejuvenation services. Dr. Rosen has offices in Toms River and Rumson, New Jersey, to serve patients in and around the area.